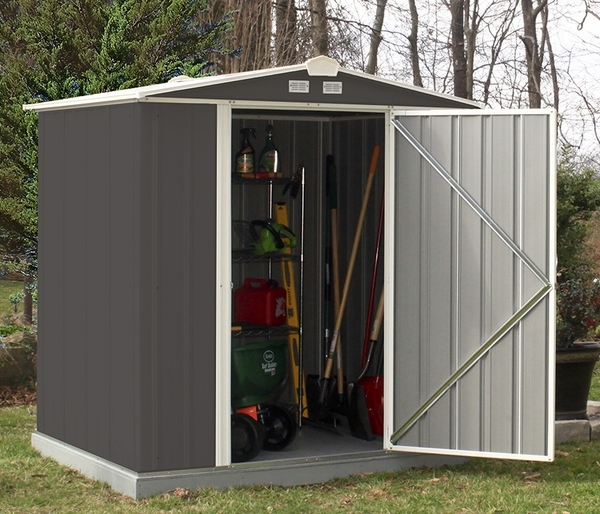 The EZEE Shed features Snap-IT Quick Assembly, cutting build time in half. With a reduced number of fasteners across walls, roof, and doors, assembly is faster and easier. 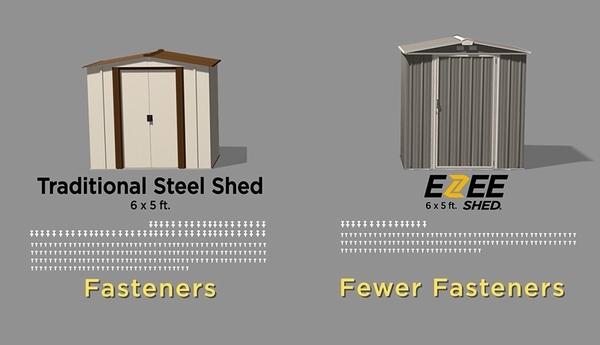 A unique panel design, overlapping and connecting every 12 inches, the EZEE Shed is 2x stronger than leading steel sheds on the market. 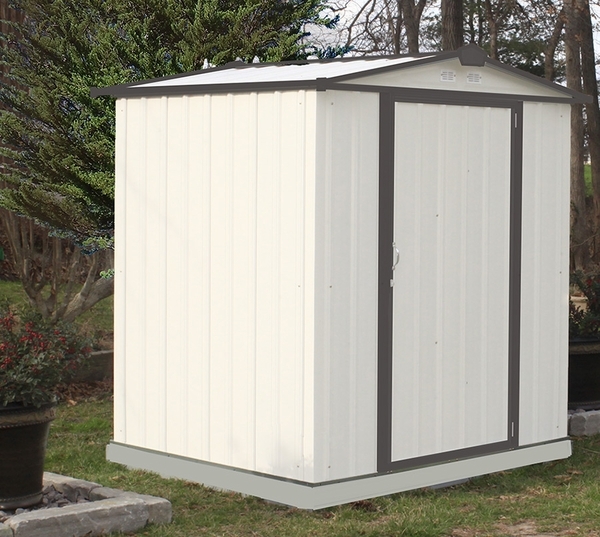 The EZEE Shed also features improved roof assembly that allows for ground assembly of the roof for easier and faster roof attachment. 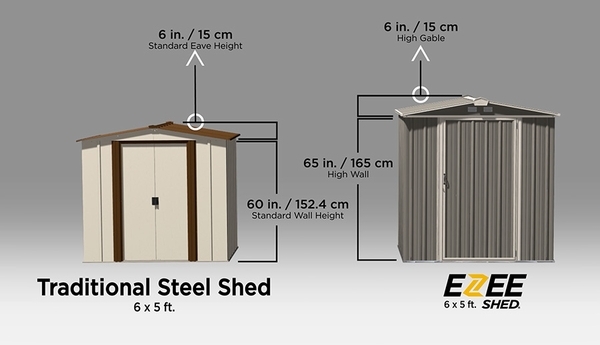 The EZEE Shed is available in an updated color pallet that makes it a modern and stylish storage solution for backyard, patio, and garden areas. The EZEE Shed's attractive swing door design allows for easier access to your items, features a heavy duty framed out design and the doors are set on three hinges for extra durability. 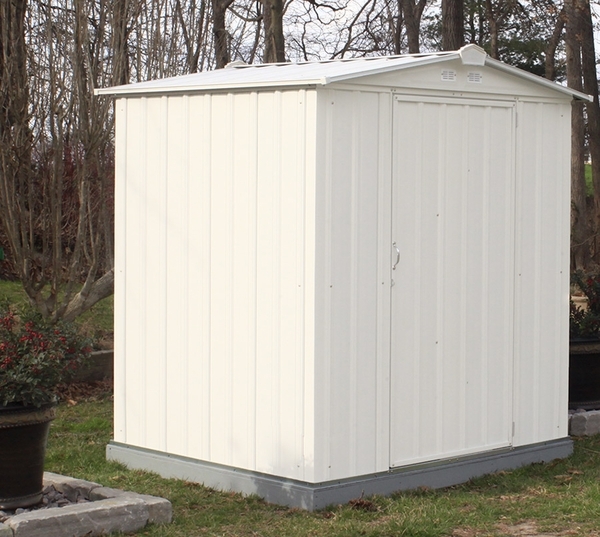 This 6' x 5' EZEE Shed boasts 24.75 sq./ft of storage. What is the weight of this and is a floor included? The weight of this item is approximately 110 lbs and a floor is not included with this unit.